The Review Ballerina: Gramma In a Box: Unboxing & Review! Gramma In a Box: Unboxing & Review! Everyone has a Grandma that always baked for them. Whether it was cookies, candies, cakes, whatever it was you wanted or needed you could ask and they'd deliver. For years I would get handmade birthday cakes from my Grandma Lillian. Every year was a different cake, different theme or style, never fondant always frosted and it was always perfection. So when I was given the opportunity to review and unbox Gramma in a Box I was so excited! Then...our home took a 3 week strep throat turn and sadly, we didn't get to do things as fun as we wanted. I apologize now to Gramma in a Box that our review did not come out as beautiful as we would've liked. But! Check it out! I love how cute the paper was, and how this was hand wrapped and sent over. Soon as we opened it my daughter got excited and we began looking through everything. I was very surprised when we unwrapped it at all we found! As you can see, everything we needed for three projects was packed in. From cookies to frosting, even pretzels and marshmallows. For a Back to School box this was going to be a lot of fun! I even got my daughter doing one of her first unboxing videos! So thank you to Gramma in a Box for giving her the amazing opportunity! We were so excited while unboxing, though if you look to the left there is our best friend the thermometer. 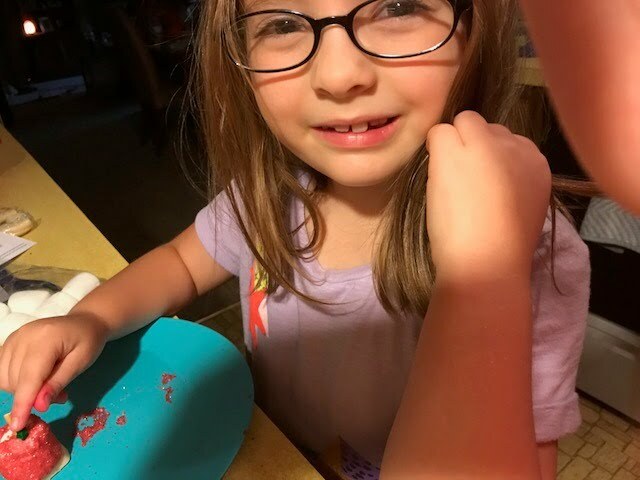 Shortly after, my daughter got a back to back round of Strep Throat and only in the last few days climbed out of it. It's rough out there for a 1st grader guys! Haha. But we still tried, and that's all that matters. 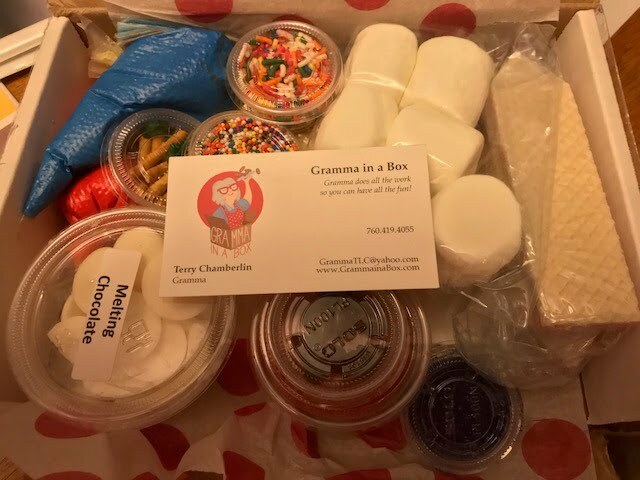 Did you guys see just how much Gramma in a Box sends? Everything was ready to go, broken down and separated, sealed for safety and freshness, and we could not wait!! Can I just say I'm a bad Mom that I did not realize that the "Tissue paper" you hear us talk about on the video was actually wax paper? So yeah, we used a plate, my apologies to Gramma now lol. 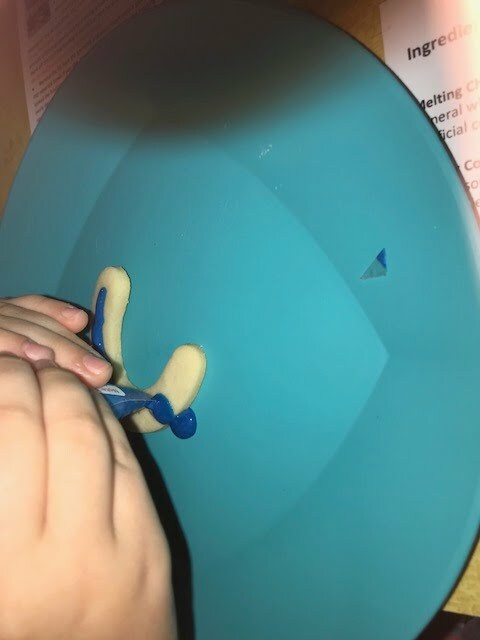 You can see that my daughter was trying very hard to create her cookies but she couldn't quite stay stable. But I did love how they were a kid sized frosting bag, easy to push the icing out, and as long as she didn't rush you could make a straight line. Blue with red sprinkles, of course that was going to be done. She was very dainty trying to sprinkle them altogether though she was more excited to work with the marshmallows to make them apples! I was too, I thought they were so cute and ready to go! 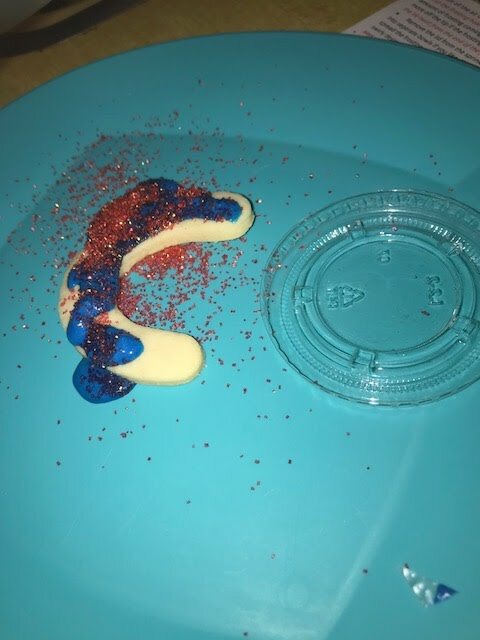 But going back to the cookies, I adore how she got A B C's, she was able to follow along the pattern of the letter with the easy to squeeze frosting bags, and the sprinkles were her favorite part. She thought they were beads because of how beautiful they were. We then turned to the apple marshmallows! There's my sweet little "Sicko" child. We melted the chocolate, put sprinkles on it, and she was in the process of adding the pretzel and leaf! Sweet just like her, she wanted to take them to her teacher which made me realize Gramma in a Box really was a great gift for any parent and child to do for their own teachers. They could make creations, wrap them in some plastic and take them to school! "Made with Love"! 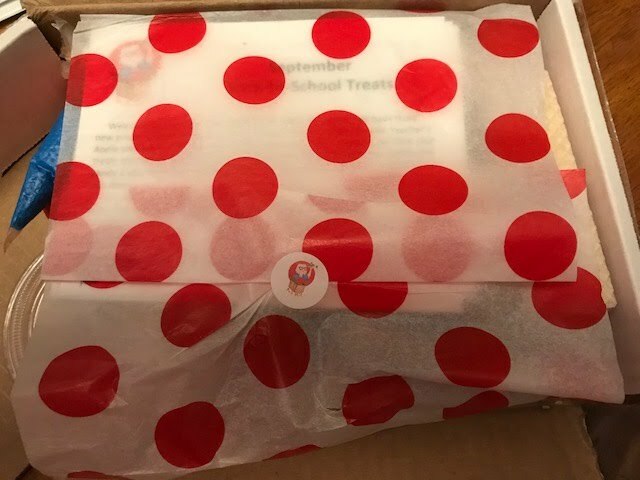 Gramma in a Box is a monthly subscription box you can get and they are currently getting together the October Box which you KNOW has to be Halloween related! You can find it here to get a box a month for $20 which includes almost everything you need to decorate cookies and make two different candy crafts. You can usually get 15-20 completed pieces each month! Make sure to hurry today and get yours for your kiddo, just don't try to do it during strep month that just is not a good month for making yummy treats.